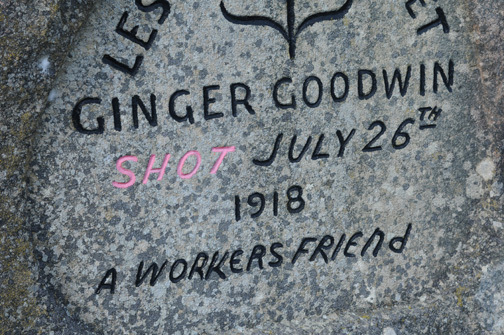 Even today, coal miner, union activist and conscientious objector during World War I, Albert ‘Ginger’ Goodwin remains a controversial figure in British Columbia history. The native of Yorkshire, England came to Canada to work in the coal mines and later became involved in union activities in response to terrible working conditions. 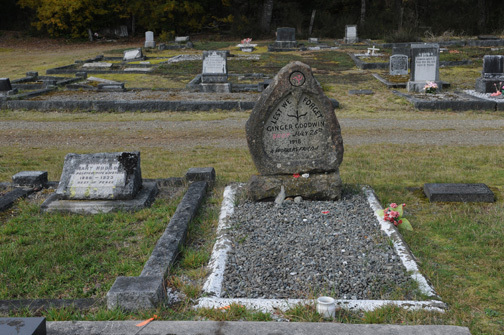 He ended up becoming the vice-president of the British Columbia Federation of Labour as well as a union president. Initially found unfit for military duty due to black lung, after leading a major strike at the Trail, BC smelter in 1917, his status was revoked and he was ordered to report for duty. A pacifist who was opposed to the war, Goodwin took to the hills around Cumberland where he remained safe until July 1918 when he was shot and killed by a police officer. The event was controversial with the officer pleading self defence and others suggesting it was murder. Goodwin’s funeral procession apparently stretched for a mile and his death is supposed to have led to the Vancouver General Strike in August 1918, a major event in Canadian labour history. As mentioned Goodwin still provokes conflicting emotions in the province. Part of the highway nearby was named Ginger Goodwin Way in the 1990′s by the NDP (labour friendly) government but in 2001, after an election brought in the big business provincial Liberals, the Goodwin signs were removed.